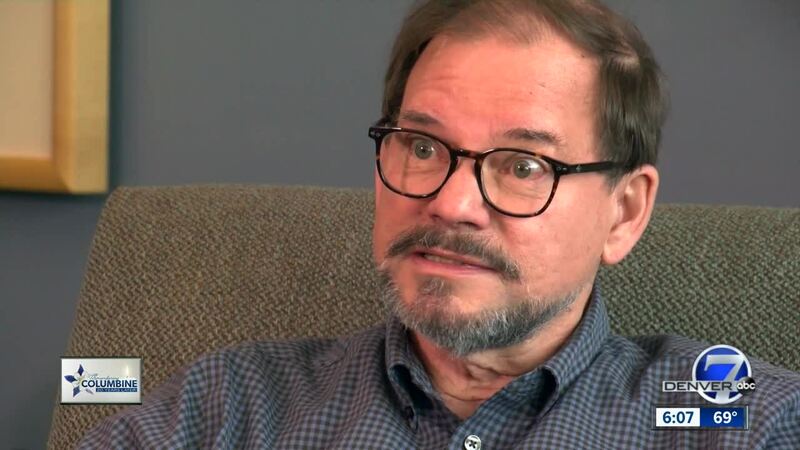 Twenty years after Daniel Mauser was killed at Columbine, his father is carrying on his son’s legacy and backing some of the same causes his son did when he died. LITTLETON, Colo. – Tom Mauser proudly wears the shoes his son, Daniel, was wearing when he was murdered – but only on special occasions. When he arrived earlier this month at the new library at Columbine High School to speak with reporters ahead of the 20th anniversary of the tragedy there , those same gray Vans were on his feet. Daniel was a shy, gentle boy – not someone you’d typically expect to raise his hand to sign up for the school’s debate team. But that’s exactly what he did. “I feel like, OK, I had to overcome my shyness; I had to overcome my fears to do what I’m doing – just as he did,” Tom Mauser said. Mauser has not been afraid to show that. He has picketed at lawmaker’s offices, marched across the country and appeared on the cover of TIME Magazine in support of his son. “Because there are clearly people in society who should not have guns,” Mauser said. He feels Daniel is looking down and watching, knowing he is always on his father’s mind. And despite his best efforts not to do so, Mauser says he can’t help but think about what his son had in store for his future had it not been cut short. But Mauser says that rather than dwelling on what could have been, he feels his path now is to make change in Daniel’s name – strengthened by the shoes on his feet.